Broadway Cotswolds Late Night Christmas Shopping. Lovely festive atmosphere with beautiful Christmas lights ~ Music ~ Mulled Wine ~ Festive Food ~ Great Shops & Eateries! 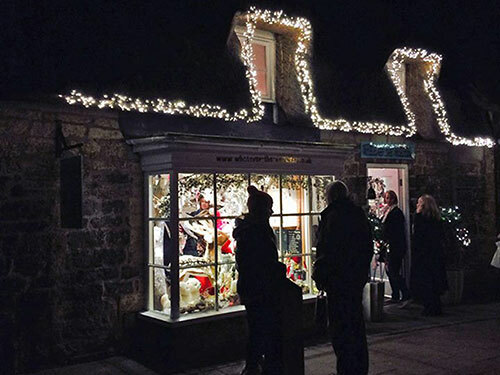 The Late Night Christmas Shopping evenings will be Friday 29th November and Friday 6th December 2019 from 5.30 to 8.30pm. Lovely festive atmosphere with beautiful Christmas lights ~ Music ~ Mulled Wine ~ Festive Food ~ plus Great Shops & Eateries! The perfect opportunity to enjoy the beginning of the Season of Goodwill and stock up on gifts. The Local Fire Service will also be Fund Raising. 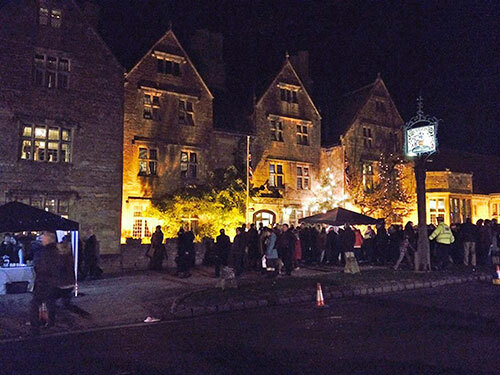 Enjoy a fun festive evening in our Cotswold village - soaking up the seasonal atmosphere & entertainment. A great opportunity for shopping in some lovely independent shops. There are plenty of eateries too - from cafes to pubs and restaurants. Unfortunately stalls are not available at the Late Night Christmas Shopping Evenings. A few of the businesses on the High Street put a stall outside their premises and then there is a small list of village schools, churches, football club etc that are are permitted stalls.